Hops are the female flowers (also called seed cones or strobiles) of the hop plant, Humulus lupulus. Hops are the female flowers (also called seed cones or strobiles) of the hop plant, Humulus lupulus.They are used primarily as a flavoring and stability agent in beer, to which they impart a bitter, tangy flavor. 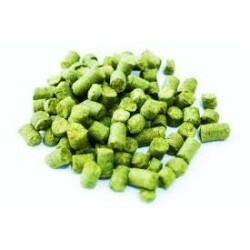 Pellet Hops - Perhaps the most widely available to the home brewer, these hops are dried, chopped and compressed into tiny pellets. They store well, and are easy to measure in small quantities. The chopping and compressing can release some of the lupulin glands to burst losing some aromatic oils. Amarillo is aroma hop with a very appealing floral, citrusy, and peachy aroma, complimented by undertones of orange and grapefruit. Amarilo is an aroma hop with a very appealing floral, citrusy, and peachy aroma, complimented by undertones of orange and grapefruit. 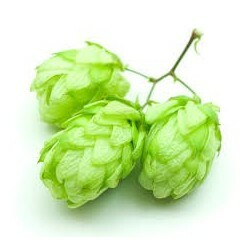 This hop is used for its Aromatic properties and moderate bittering. It has aromas that are citrus (grapefruit), earthy, and floral. Popular American mid-range alpha acid variety with a unique and distinct aroma. It has a flowery, citrus like aroma, more orange than grapefruit. Belma Is a dual-purpose hop with smooth bitterness and orange,slight grapefruit, tropical pineapple, Strawberry and Melon aroma. Many people recommending it for saisons and Belgians and the like. Cascade is dual-purpose hop with a pleasingly smooth flowery, citrus grapefruit, lychee fruit, pear, slight grape and woodsy aroma. A good dual-purpose hop, Cashmere showcases flavors lemon, lime and melon, exhibits a smooth bitterness and is mildly aromatic with a subtle herbal bouquet. Flowers & citrus most evident. A medium aroma with mid to high bittering value makes it a dual purpose choice. Centennial is a dual-purpose Hop with crisp, clean, floral, herbal, and lemony citrus, pineapple tones. Challenger features decent bitterness and a floral aroma and as such are considered fine for bittering or for dry hopping. Its flavor is smooth with balanced floral characteristics, some citrus and a dash of spice. Chinook is dual-purpose hop with a spicy, piney, very distinctive grapefruit aroma of medium intensity. Citra is dual-purpose hop with a very fruity citrus, peach, apricot, passion fruit, grapefruit, lime, melon, gooseberry, lychee fruit, pineapple, mango, and papaya, along with other tropical fruits and aromas. Citra is an aroma hop with a very fruity citrus, peach, apricot, passion fruit, grapefruit, lime, melon, gooseberry, lychee fruit, pineapple, mango, and papaya, along with other tropical fruits and aromas. Columbus is a dual-purpose bittering hop solid well rounded with herbal, citrus, a pungent yet pleasant aroma. it is ideal for laying the bitter foundation for Pale Ales, India Pale Ales, Stouts, and anything Imperial. 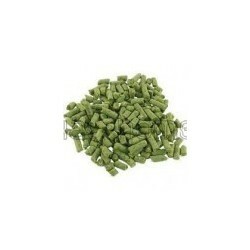 In the same capacity this variety is commonly used for late-boil or dry hopping for its herbal, earthy character. Crystal hops is aroma hops with mild and pleasant blend of herb and spice character with woody, green, floral with hint of black currant jam. Great in ESB's! 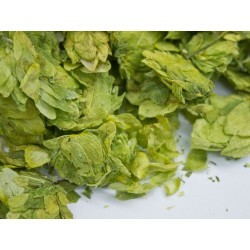 UK Goldings is a hop with mild and delicate, classic English-type aroma. This very unique hop has a pronounced aroma profile with citrus, tropical fruit, floral and herbal characteristics. Specific descriptors include lemon, lime, papaya, apple, and green pepper. Dual purpose hop with both high Alpha Acid and intense flavors and aromas. 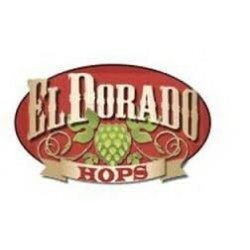 As a bittering hop El Dorado lends a firm but balanced bitterness. This hop has bright tropical fruit flavors and aromas of pear, watermelon, and stone fruit. Also has been described as "candy like" 14-16% Alpha Acid. Born in Australia in 2001 as a close relative to the popular Galaxy hop variety, this hop is on the floral and spicy end of the spectrum making for beers with floral and star anise tones coming through strong. If used to dry hop a beer following the fermentation process the Ella hop can also infuse a defined grapefruit flavour to the beer. This proprietary dual-purpose pellet blend is made of seven varieties of "C" hops, and unreleased varieties, and is perfect for any Northwest-style IPA. Each hop has been hand selected for its superior aromatic qualities, imparting distinct tropical, citrus, floral, lemon and grapefruit tones. Fuggles is hop with a mild , soft, woodsy, slightly fruity, pleasant aroma. Dual purpose hop with a unique and striking aroma described as a combination of citrus and passion fruit. Typical Brewing Style: American Ale, and IPA. Galena is a high alpha variety with increasingly popular aroma characteristics.Often used as a late addition for intense citrus and tropical flavors. American ales, stouts and lagers. Suitable for all beer styles. Specific aroma descriptors include sweet fruits, pear, pineapple, blackcurrant, grapefruit, lime, gooseberry and spicy wood. 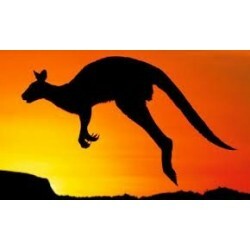 Hallertau is a aroma hop with a mild, clean, spicy and floral scent. As true traditional German aroma hops, Hallertau, with low alpha acid and its aromatic qualities, is perfect candidate for Bavarian Style Lager. 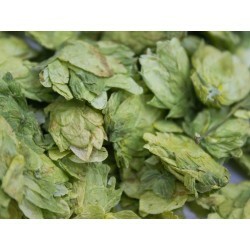 Aroma hops with mild fruity and floral aroma great for lighter beers. Hersbrucker hops is highly regarded around the world and its mostly used for the finishing touches on German and Bavarian style Logers and Pilsners. Pungent tropical fruit and citrus (think apricot, orange, red grapefruit, papaya) with big notes of resiny pine and hints of black tea. Jarrylo™ (pronounced Jar-ril-low) is named after Jarilo, the Slavic god of fertility and springtime. Jarrylo’s™ banana, pear, spice aroma translates perfectly to Pale Ales, Saisons and Belgians. Bittering hop with a spicy citrus clean aroma. Specific aroma descriptors include fruity and citrus, specifically distinct tangerine and citrus flavors. A new hop with crisp flavors of lemon, mixed berry, and tropical fruit. This highly sought after hop is an artistic assortment of enticing aromas. An aroma /dual purpose flavour hop with distinctive “New World” white wine characters. Dual-purpose hop with moderate alpha acids and medium-strong, clean lemony, woodsy with evergreen and mint aroma. Dual-purpose hop with an acute bitterness that makes it a popular candidate for IPA Style beer. It also has a strong heavy green herbal and spicy aroma, with pear and peach notes. Perle is dual-purpose hop with a hoppy and fruity aroma. Perle is known for its mildly spicy character and its bitterness. The Old World steadfast standby made famous by Pilsner Urquell possesses the aromatic blend of earth and spice notable in European nobles. Low bittering value. Used For: Finishing, very flavorful. Bohemian-style beers, Continental lagers, Wheats, Pilsener lagers. Aromas of passionfruit, apricot, Intense pine and woodsy aroma adds to the fresh, youthful vigor of this complex hop. Dual purpose but generally considered a bittering hop. Dual purpose hop. Imparts an unusual lemongrass and dill flavour. Excellent in IPA and Farmhouse ales. Aroma Hops with slightly spicy and pleasant floral punch complemented with a hint of citrus. Also known as Super Styrian, this dual-purpose hops has very balanced essential oils that gives a spicy and pleasant hopppiness to the brew. It is a very versatile hop and could be used in American , Belgian and English Ale's. In small quantities, Summit hops can add depth and complexity to a beer with pungent, spicy citrus flavors bordering on the savory. In large quantities, it can be easily identified as a distinct onion or garlic-like flavor. Sounds strange, but don't knock it till you try it! Earthy, Spicy, pungent with some citrus overtones. Nice finishing hop. Aroma hop very popular for its flavor and aroma with a delicate peppery herbaceous spice that has both fruit and floral es sense.